Well those of you who know me knew this would come up at sometime and that time is here. Not only am I a Boy Mama, I am also a Dog Mama- to be more specific a Pug Mama. I have two gorgeous, stubborn, high-maintenance and perfectly wonderful Pugs (both girls). They were my first children. They went everywhere with us and to leave them at home, alone, felt sinful. We bought them treats, toys, cozy dog beds and even order them an ice cream when went through the DQ drive through. Now, as it happens when people have human children, they have lost their spotlight. They have become more of pets than our children. Please don’t get me wrong, they are still incredibly special (our vet can attest to this!) and honestly I would be lost without them. They still get treats, snuggles and belly rubs (especially as the boys grow older and can join in), but they do not get to go everywhere we go and haven’t had an ice cream from DQ in quite some time… Anyway, because of our dogs, we are dog lovers and people who love dogs and have children are pretty certain to have a few books about dogs in their home library. And we do. I thought I would share some of our very favorites and perhaps you could pass along a few of yours! I think this is MY favorite dog book. It has been read over and over and is falling apart. 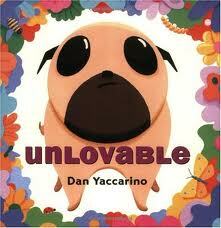 We may have even read this one to the Pugs (and the boys of course). In, Unlovable, Alfred, the Pug, is taunted and teased by both the family cat and goldfish. He is constantly told just how unlovable he is. Alfred takes solace outside in the yard where he befriends a new dog next door. As the two dogs get to know each other, Alfred is so ashamed of being a Pug, that he tells the new dog that he is actually a Golden Retriever. One day, the neighbor dog digs beneath the fence to meet Alfred face-to-face only to learn that he is not a Golden Retriever after all, but a Pug just like him! 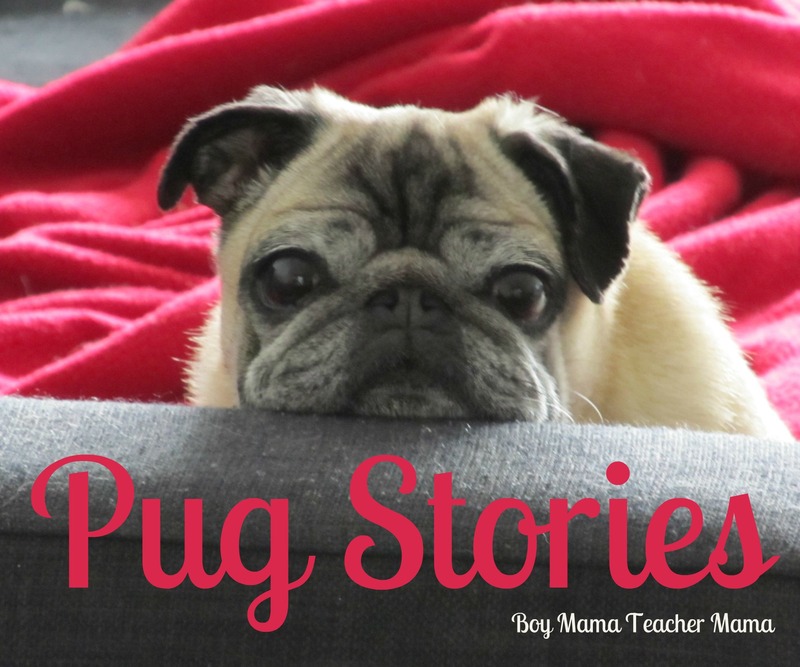 The two Pugs become best of friends and finally Alfred feels lovable. 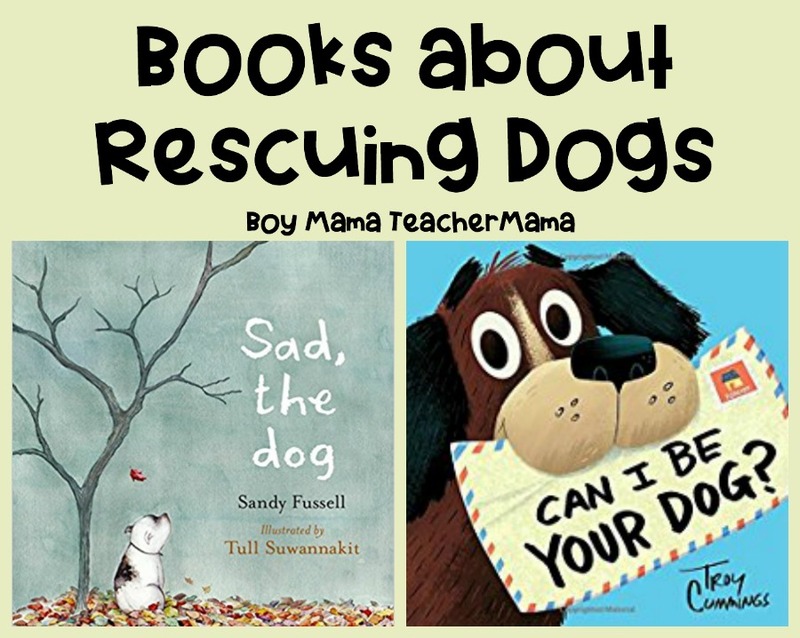 I honestly wavered back and forth whether to add this to the main list or the “other dog books” list, but then realized that was my own opinion, not that of my boys. They LOVE this book. The story is wonderful and the illustrations are so detailed (and funny) that you could probably skip reading the book and just enjoy the pictures! In Petropolis, Max’s (the dog) family installs a new dog door and then head out for the day. Max takes this opportunity to explore the yard on his own, but when he gets outside he realizes he is not in his backyard, but in a city where he has never been before! A city of entirely pets where cats drive cars and fish deliver letters and there are no humans in sight! Max meets his cat friend, Nina, and the two go to the movies, to the art gallery and out to dinner. Max tells Nina he wants to stay in Petropolis forever, but Nina reminds him of all he would miss out on at home if he stayed. I won’t spoil the ending, you will just have to read the book to see what Max decides! 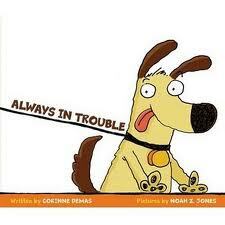 Emma’s dog, Toby, is always in trouble. He gets into the garbage, runs into the road and even eats a fresh baked loaf of bread off the counter. Emma doesn’t know what to do so she takes Toby to dog training school where she hopes he will learn how to behave. Toby does a great job in class, but once back home, he is back to his old ways. Emma then takes him to Ms. Katz’s special training class where Toby learns some surprising new tricks… The cartoon-like illustrations make all of Toby’s antics seem humorous and Emma’s dedication to her dog, is something all kids can relate to! Be Gentle with the Dog, Dear! Meeting new dogs is great fun, but can be a bit scary. 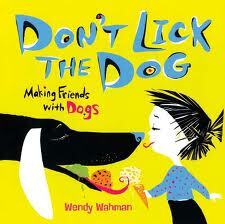 In Don’t Lick the Dog, Wendy Wahman combines fantastic illustrations and a great sense of humor with a sort of how-to manual to show kids the best ways to interact with an unfamiliar dog. With such reminders as “Slow Down. Stay very still. 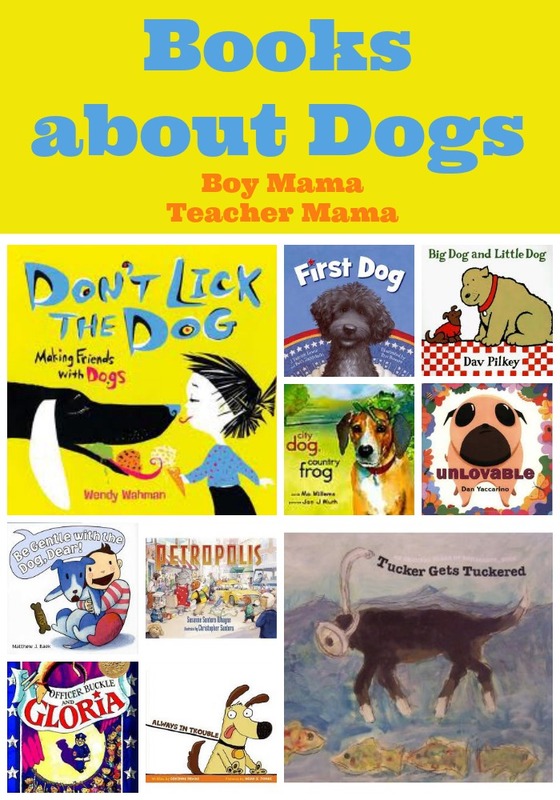 And remember, don’t lick the dog!” this is the perfect book for a family about to get a new dog or for the dog-weary child who is visiting a home with a dog. In Spring, when City Dog runs free in the country for the first time, he spots Country Frog sitting on a rock waiting for a friend. “You’ll do.” Frog says. In spring, they play Country Frog games. And in summer they play City Dog games. When winter approaches, things change and when spring comes again, things are different, but friendship remains. This book is quite possible one of the most wonderful, heart-wrenching, beautifully illustrated, bittersweet books about friendship, seasons and end of life out there. It was given to us by an incredibly special teacher as our family was leaving the school for a new adventure in a new country. Grab a few tissues before you read this one. 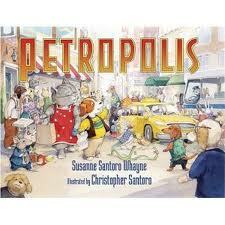 If you have not read this book with your child, go now to the bookstore or library, get it and read it! Another huge favorite of my son and my former students. Officer Buckle visits schools around Napville sharing safety tips. Officer Buckle really doesn’t have much of a stage presence and his speeches usually put both students and teachers to sleep. 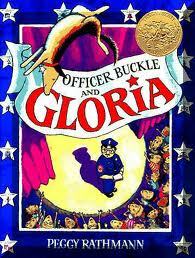 Then, one day, Buckle gets a partner, a police dog named, Gloria who spices up his speeches and the team becomes a hit in high demand around Napville. You have to read the book to find out what happens next. This is a wonderful book about friendship and the importance of working as a team. 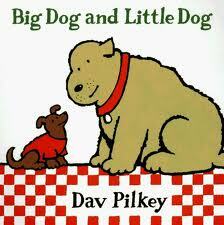 Not much to say about these book except that they are simple, fun to read and perfect for any young dog lover. Both my boys have loved and treasured this series of books and have slept many a-night with them tucked safely beneath their pillows. My son would be hugely disappointed in me if I did not include this book on this list. 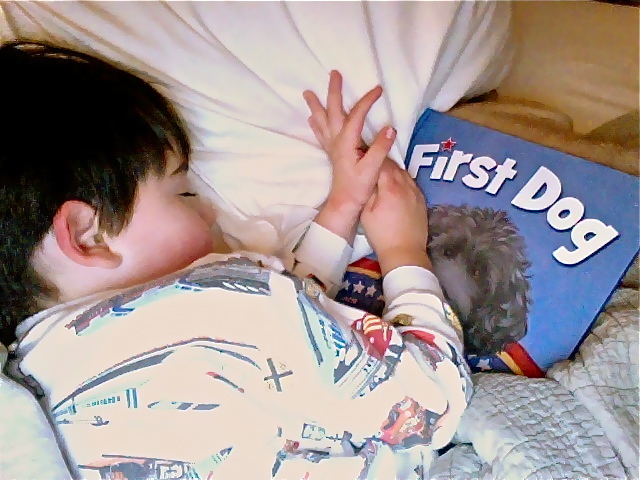 This is his all-time favorite, can recite every word, sleep with it at night, take it to school, tell everyone about it book of all time. First, we must put politics aside. 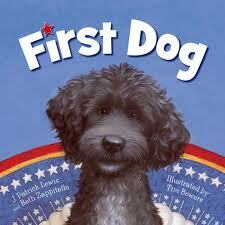 That said, this is the story of how the Obama’s dog came to live with them at the White House. Before being adopted by the first family, this dog traveled the world looking for the “perfect place to live.” In each new county he meets a new breed of dog–in Russia the Borzoi, in Peru the Peruvian Hairless, in France the Poodle and in Mexico the Chihuahua. None of these places suits dog so he returns to the US where he happens upon the White House where the girls find him waiting at their front door. They ask their dad if they can keep him. His response? “Yes we can!” Love the political humor there. 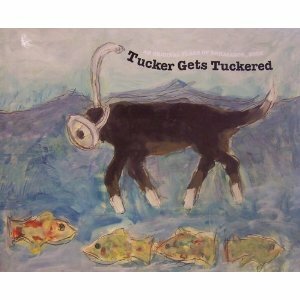 Looking for more books featuring our four-legged friend? Love your recommendations. 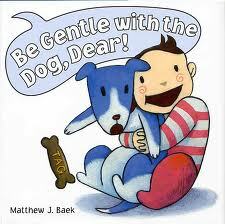 Can you recommend any other book in place of “Be Gentle with the Dog, Dear!by Matthew Baek”? I cannot seem to find it here at all 🙁 And I really want to teach my son to be gentle with my Mom’s Dachshund. Let me work on it and I will get back to you! Thank you very much. This book is available here ( I am from India). I really appreciate your help. Don’t forget Tulip Sees America and Chowder! Keep the recommendations coming! Thanks for the recommendations! Now that we have a Tutu dog in our house (or rather in T’s bed) we will have to get the Tulip book for sure!